Dazzling, exquisite and lavish, the Amalfi Coast has been drawing the jet-set crowd to its golden shores for many years. 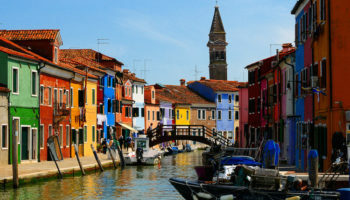 Many visitors now flock to the coastline, attracted there to lap up the iconic landscape, compelling culture and delectable cuisine and to luxuriate in the laid back Italian Mediterranean lifestyle. The coastline boasts crystal clear waters and beautiful beaches, many of which are only accessible by boat. There are endless natural wonders to explore in the area, from hiking in the forests to adventuring into coastal caves. 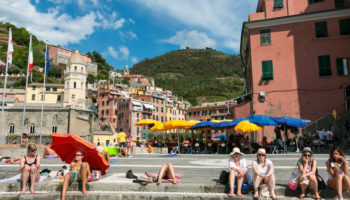 If lounging around devouring delicious delicacies in the sunshine is more your thing, then this is also the destination for you: the coast is famous for its fresh food and uniquely Italian recipes, and has many local and upper scale eateries for you to try out. The Amalfi coast is home to many different small villages and towns, each with their own specific culture and unique identity, which entice different types of travelers; some visitors might be looking for the glamour and lively nightlife of Positano or the sleepy seclusion of Ravello, or perhaps the big sunny beaches in Maiori. Accommodation in the different destinations varies, ranging from upper scale, big budget luxury, to family owned bed and breakfasts and everything in between. We have rounded up the top towns to stay in the Amalfi Coast so you can find the ideal place for your perfect holiday. 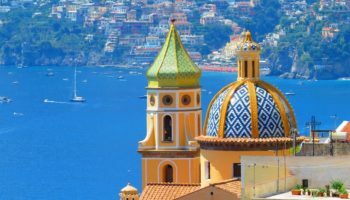 The sophisticated town of Positano sits on the western Amalfi coast and is a great place to stay if you are planning on exploring other destinations around the coast, which include Capria and Ischia. The small town was once a mighty power of the seas, but nowadays is a pleasant resort where visitors can spend their time browsing the chic boutiques and dining out in the many seafood restaurants around the Grand Beach. There is a regular ferry service to Positano and Salerno, which runs from April until the end of September. There are many luxury places to stay around the rocky shoreline of Positano but the price for a seaview does not come cheaply. Hotel Marincanto – Spacious rooms and spectacular views make this hotel in the center of Postino a special place to stay. Rooms here are simply stylish, with traditional elements, and are well maintained – also boasting their own private balconies. Enjoy the deliciously fresh breakfasts surrounded by potted flowers on the large sun terrace that overlooks the sea and the town, take a dip in the luxurious infinity pool, and treat yourself to a massage at the wellness center. The hotel is surrounded by all the shops and restaurants in the heart of the town. Hotel Montemare – This hotel is all about sublime views across the sparkling sea of the Amalfi Coast. 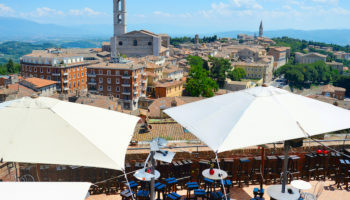 Sit out on the romantic terrace with its terracotta tiles and vines and sip cocktails with your partner as the sun sets and the town starts to light up below. The quiet location is slightly set back from the crowded plazas and beaches; spending your trip here means finding a piece of Positano for yourselves where you can enjoy the beautiful surroundings peacefully. There’s a small, quiet beach just a ten-minute walk away. 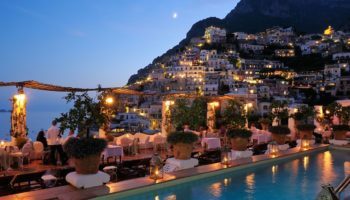 Hotel Savoia – This 3-star hotel is a family-owned offering overlooking Positano from a hilltop, which means you won’t be too far from the town itself; in fact, it’s just under a ten-minute walk to Positano ferry terminal – great if you want to explore further by sea. The hotel itself is set in a typically Mediterranean building, which really makes you feel part of the surrounding landscapes – the rooms are tiled and some even come with their own balconies to while away the hours on. If you want swathes of natural beauty mixed in with a spot of luxury without the huge price tag then Amalfi town is for you. 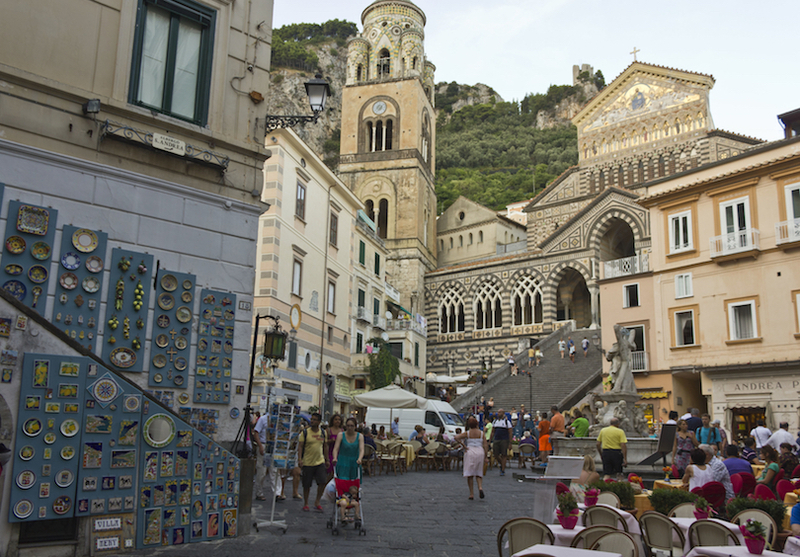 One of the liveliest and largest towns on the coast, Amalfi is one of the most popular places for travelers to stay. The town has a depth of culture and interesting history with stunning medieval buildings and pretty pebble beaches. The town itself is situated in the middle of the Amalfi coast; a 50-minute drive away from Sorrento and 40 minutes to Salerno means it’s a great location to stay in order to explore the island. 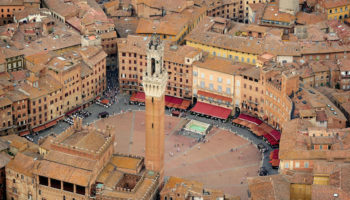 Costs of accommodation aren’t as high as in other towns and there is a selection of reasonably priced hotels available. NH Collection Grand Hotel Convento di Amalfi – Just a 10 minute walk from the gorgeous Amalfi Cathedral, this beautiful place is a decidedly upscale 5-star hotel; what’s more amazing than being set inside an impossibly historic former 13th-century monastery? Aside from its two elegant restaurants, the extravagant infinity pool, gym and a wellness centre complete with spa offerings, plus a bar (of course), the rooms on offer at NH Collection Grand Hotel Convento di Amalfi are lavish, featuring classic terracotta tiles, marble bathrooms and terraces or balconies. A definitive slice of Amalfi Coast luxury. Hotel Miramalfi – Clean, comfortable, and classy, the Hotel Miramalfi offers up fantastic service and polished interiors. Clinging to the craggy cliffs along the coast, the uninterrupted views from the hotel are breathtaking. Guests can spend time lounging on the sun terrace, swimming in the open-air pool, and dining on the terrace. There’s even a private beach which is accessible by a lift that has been carved out of the rock face. Rooms combine traditional styles such as tiled floors and whitewashed walls, with modern amenities and large windows to allow the views to truly shine. Full of charm but with less of the crowd, the peaceful village of Praiano sits between Positano and Amalfi. 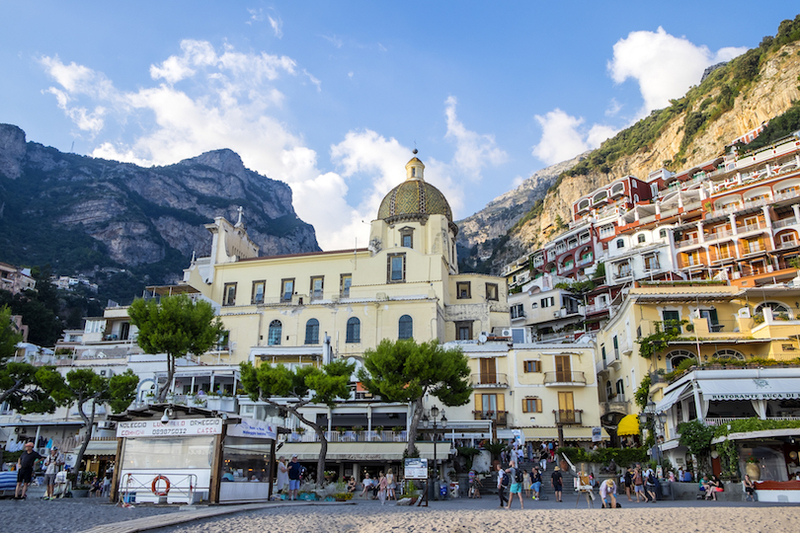 The authentic old fishing village is a stunning example of Amalfi life, the streets of this sleepy town wind up steps past the classically whitewashed buildings that lace the landscape and along the front of shops and local amenities. Delectable dining options are in abundance and serve up the most delicious fresh seafood for visitors to the town to enjoy. Accommodation ranges from designer chic to modern holiday villas, and many have stunning views across the ocean. 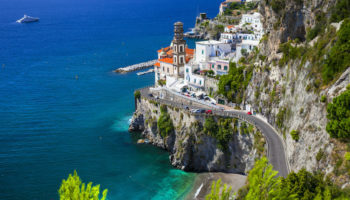 If you base yourself in Praiano the easiest way to see the rest of the coast is to rent a car and travel at your own pace exploring what Amalfi has to offer. Hotel Le Fioriere – An unfussy hotel with views that overlook the Tyrrhenian Sea, the rooms here feature their own balconies or terraces where you can soak up the sea views in peace and privacy. The rooms are simple with tiled floors, TVs, and large bathrooms. There’s a complimentary breakfast, as well as a bar and grill with its own terrace – but you can also get room service. If you’re on a road trip along the Amalfi Coast, this hotel is a great choice since it also offers guests free parking. 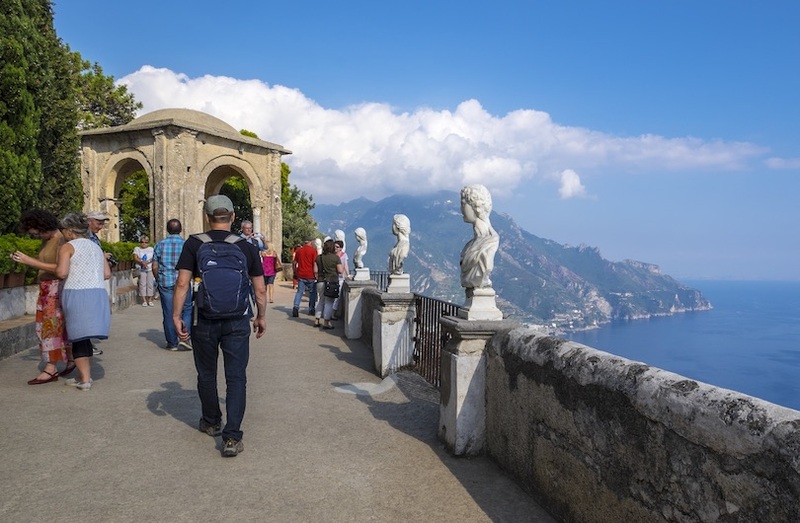 The sweet little village of Ravello is set back from the shoreline, perched up high on a ragged cliff with stunning views that overlook the deep blue ocean. The village is popular with those who visit on day trips from bigger towns, but if you want to enjoy the real laid back relaxed pace of life on the coast then you should stay in Ravello. A romantic and peaceful enclave, the village has all the glamour and affluence of neighboring towns with its villas and beautiful gardens. Stay in one of the village’s smart villas or chic apartments, and spend the quiet evenings sipping on a glass of wine whilst listening to the peaceful sounds of nature. Villa Piedimonte – Upscale and style conscious, this hotel is a world of pared back design and luxury living. It’s the kind of place where you can lose yourself for hours in the views; from up high on the terrace, you can see the humps of mountainous cliff edges drop off into the sea and the sparkling lights of the houses tucked between the folds of the land. A fantastic balance between the buzz of the town and the peacefulness of nature, staying here means you can slip effortlessly into the local way of life and enjoy days eating fantastic local food, drinking wine, and swimming in the hotel pool. If you are traveling with children and looking for a location that is family friendly then Maiori is the destination for you. With the biggest beach on the whole of the coastline, the sandy expanses of the beach are a big draw for families, as well as the convenience of the beachfront hotels – not to mention the many restaurants serving up delicious pasta. Mariori is generally cheaper compared to other resorts in the area and has a good choice of accommodation to choose from, the coast is also home to many other beautiful beaches that are only accessible by boat. Hotel Club Due Torri – Boasting a large pool with spectacular views of the coast, the whole hotel is kept very clean and well-maintained. A large breakfast spread can be enjoyed out on the sun terrace and is served with delicious, fresh Italian coffee. 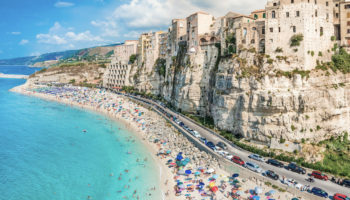 The location is just out of the center of Maiori, but all the town’s amenities can be reached within a few minutes on foot – plus there’s a beautiful beach just on the hotel’s doorstep. Rooms are classically decorated, with fresh white linens changed daily and very friendly staff. Located in the Park of Lattari Mountains and known as the small Switzerland, Agerola village is sat in a stunning mountainous landscape surrounded by nature. You should stay here if you are interested in exploring the natural environment of the Amalfi Coast and are not so bothered about beach hopping on boats. From the village there are many paths that lead into the fresh chestnut forests and along the slopes. Quaint bed and breakfasts and sweet family fun hotels offer much more reasonably priced accommodation than many of the big towns on the coast. Casa Pendola – This hotel is perfect for people who want to stay for a while and enjoy the beautiful surroundings and local life in the surrounding area. The amazing views of the valley and the green rolling hills of Agerola are captivating. There’s a great outdoor swimming pool within the beautifully maintained grounds that overflow with charming flowers. Family run, the hotel’s restaurant serves up delicious food day and night. The location is slightly out of town but close enough to reach on foot along little local lanes that are just begging to be explored. 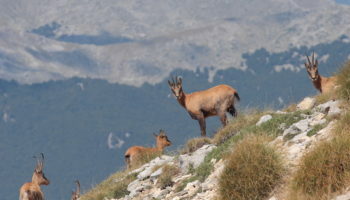 The Sentiero degli Dei coastal hiking trail also starts nearby. 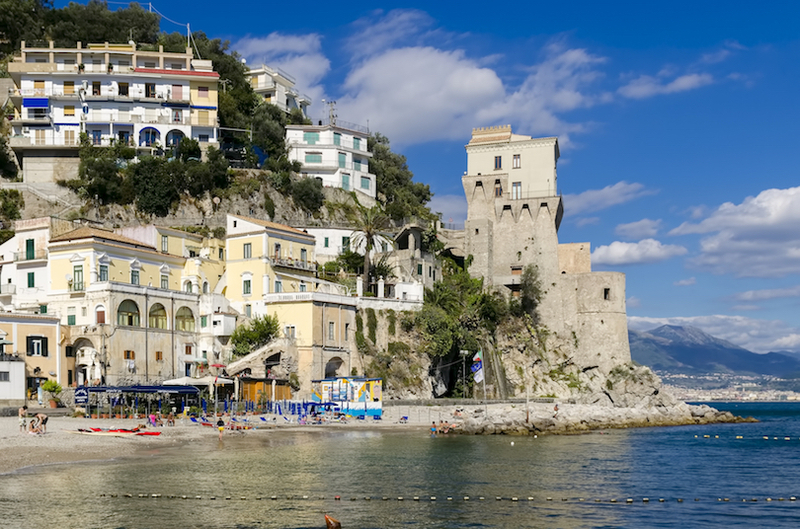 Two miles away from the city of Salerno lies the last small town on the Amalfi Coast. With its stunning views and a wealth of fresh food, the main attraction to little Vietri sul Mare is its traditional brightly colored ceramics. Know as Maorlica, the pottery can be found all over the beautiful town. Surprisingly Vietri sul Mare isn’t very well equipped for tourists and has a real tough local authentic atmosphere, but with its crystalline waters and numerous walking trails along with affordable accommodation, you should stay here if you want to stay away from the tourists and opulence of nearby towns. Hotel Voce del Mare – Featuring fantastic views of the Gulf of Salerno, this hotel is positioned high up on the side of a cliff, nestled among green tree tops. The beautiful beach below is just a ten-minute walk away and is perfect for days spent lounging in the sun. Breakfast at this hotel is a hearty selection of fresh pastries, bread, and coffees, and makes for the perfect start to a day of exploring. There’s a bus stop close by and the Vietri Sul Mare Train Station is just ten minutes from the hotel, making it simple to explore nearby towns. The pleasant, quiet and unpretentious seaside town of Minori is classically Italian, with beautiful old houses lined with lemon trees and vineyards. The mix of a temperate climate and great ingredients has given Minori the title of the ‘city of taste’ and its restaurants are famous for their bountiful bowls of pasta, which is so iconic that it is known all over Italy! Accommodation in the town is cheaper than Amalfi, the main town which is only 15 minutes away. Minoiri is on many visitors’ itineraries who go there to enjoy the tasty culinary delights on offer, but the town is mainly free of tourist crowds and, even though the beach is small, it’s a top choice for a base on the coast. 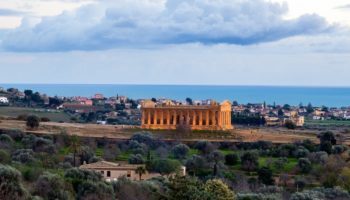 Minori Palace – Just off the ultimate coastal road of the SS 163 highway – Minori Palace is a great idea if you’ve chosen to drive your car along this beautiful stretch of coastline. Situated within the Lattari Mountains Regional Park, you’ll be just three minutes away from the beach if you stay at this hotel. There’s a breakfast buffet available as well as room service, which brings tasty food from the kitchen right to your refined room – most of these include balconies, too. If you want to be cut off from the world for a while and immerse yourself in rustic Italian culture then you should stay in Conca dei Marini, home to just a handful of locals who live along the cliffs in quaint cottages. The town isn’t close to any big transport hubs, which could be a downside to some tourists, but for those who are visiting on their honeymoon or want to hike in the natural landscape surrounding the village, then Conca dei Marini is a dream destination. Hotel Le Terrazze – If you’re looking for picturesque, look no further than Hotel Le Terrazze. Set on photogenic forested cliffs, this hotel is a relaxed, laid-back offering that allows you to simply soak up the atmosphere of the Amalfi Coast. There’s a dining room with sea views, where you can enjoy a complimentary breakfast every morning. The rooms here may be simple, but all of them feature balconies and some of them have the all-important sea views, too. Nearby is Emerald Grotto, and the Amalfi Cathedral is just over six kilometers away. There’s free parking here too. The charming town of Furore is easy to miss; situated on the main road between Amalfi and Positano, the town is made up of a scattering of houses at the foot of a cliff. Small lanes and alleys carved onto the mountainside create Furore’s unique aesthetic that makes visitors feel like they are in another time. Stay among the olive trees and grapevines in one of the reasonably priced and chic hotels, and spend your holiday looking over the red roofs to the azure blue of the sea. La Vela – Featuring many amenities, from complimentary breakfast to free parking, La Vela is a good choice for families; the staff here are friendly and will do what they can to make your stay as enjoyable as possible. There’s even an airport shuttle, which makes getting to and from this destination pretty easy. 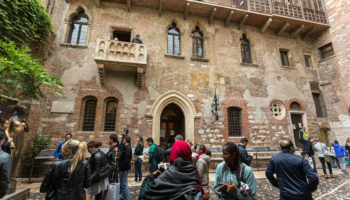 Nearby are a few sights you can see very easily on foot, like the churches of Sant’Elia and San Michele, plus it’s near the beautiful Emerald Grotto. Scala is the perfect place to stay in the Amalfi Coast if you enjoy hiking. Sat just a stone’s throw from the Lattari Mountains, the town looks down the valley of Dragone, which is covered with woodland and hiking trails which have scenic trails to nearby towns such as Minuto and Pontone. Steeped in history, the town has picturesque hotels from traditional living in the rustic bed and breakfasts, to more upper scale options that include manicured gardens and panoramic views. Portico Del Paradiso – A lovely slice of Mediterranean architecture nestled in the picturesque hills of the Amalfi Coast, Portico Del Paradiso is a fantastic place to stay. The rooms are polished but not extravagant, making for a tasteful, laid-back ambiance. On top of that, the staff are incredibly helpful and friendly. The terrace here comes with all the views and atmosphere that makes it very easy to slip into a luxurious feeling lifestyle very quickly! The surrounding area is quiet and peaceful and there are a few restaurants you can try out within walking distance. The working fishing village of Cetara is a vision of what the Amalfi Coast would have been like before the glamorous tourism scene arrived here. The town is notably more hardy than its neighbors, with its rugged coastline and rocky terrain, but there is a charm here in the classic architecture sat in the side of the cliff and the stunningly secluded beach. The accommodation here is very good value and, as it is famous for its fishing, there are some delicious local delicacies to sample too! Hotel Cetus – Overlooking the sea, the high-end Hotel Cetus is a beautiful place to soak up the Mediterranean ambiance of the Amalfi Coast. The rooms at this top Cetara hotel boast wonderfully tiled floors – inspired by the Vietri ceramic tradition – and balconies with sea views, of course; but larger rooms come with their own terraces for ultimate relaxation. Parking is free, which is just perfect for road trippers, and so is the tasty breakfast buffet. This place even has its own slice of private beach – as well as three restaurants. Small but stunning Atrani is a hidden gem on the Amalfi coast. The town’s historic architecture, which includes the Church of St Salvatore, is far from traffic and crowds and offers the chance for visitors to stay in one of the beautiful ancient buildings tucked away from the modern world, and sit on balconies surrounded by fresh flowers. Spend days splashing in the clear waters and evenings wandering Atrani’s maze of lanes to discover a new delicious dish to try for dinner, or take a boat up the coast to find hidden secret beaches. Lae Domus – Just 230 meters from the beach, Lae Domus is a great place to stay along the Amalfi Coast if sun, sea, and sand is what you’re looking for. It’s certainly a bit of a coastal retreat, with each self-catering apartment boasting beautiful sea views. Though set in charming Atrani (Italy’s smallest city), for some culture you can walk just fifteen minutes and be standing in awe at the stunning Amalfi Cathedral. As for amenities, all apartments feature air conditioning, balconies, and TVs. Thirteen small hamlets dotted along the rocky hills of Amalfi make up Tramonti. Agricultural land with olive trees and sheep farms surrounds the villages, which are famed for their views of golden sunsets. Set back eight kilometres from the sea, Tramonti’s center is Cesarano and is a fascinating glimpse into rural life on the Amalfi coast away from the shoreline. Many speciality regional foods are made here which bring in day trippers from larger towns, but staying in Tramonti’s quaint, rustic accommodation is a special experience. Casa Vacanze Del Core – The apartments on offer here range from contemporary and modern to a luxurious feeling Baroque style, meaning you’ll be able to pick one that suits you best. Staying in an apartment is a good option if you’re traveling as a group, so Casa Vacanze Del Core is a great idea if you’re on a family holiday; there’s plenty of space to spread out. 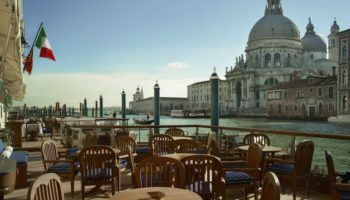 Though they feature kitchens where you can cook your own meals, there are cafes and bars to try out within easy walking distance of this accommodation.